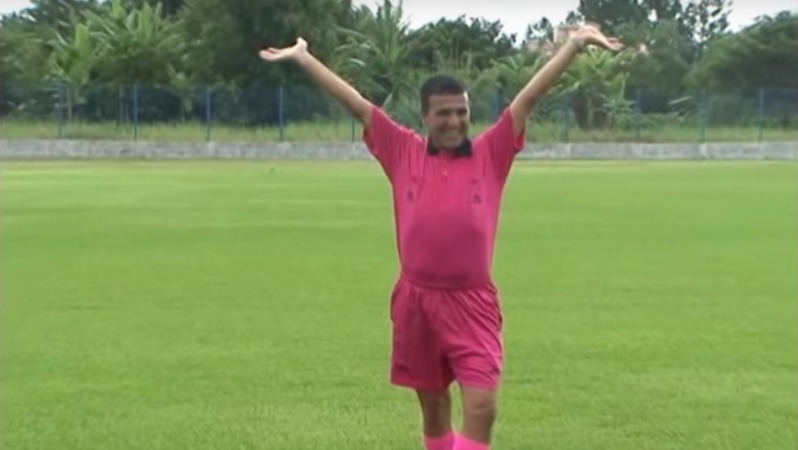 When the referee is simply fabulous! He takes "It's okay to be gay" to a whole new level that is truly inspiring! I would gladly watch him referee any damn sport on earth! Elated that you can be this passionate in an uplifting and positive tone. I love his confidence and sense of the theatrical- and how he moves! A BAH MOOD? I GET DELETED. DO A PRIVATE `KIRTAN ' DANCE. IT SILLY IF YA'S A ` DELETER.